A-Lert manufactures a variety of components for self storage and general construction use. Industry standard framing components such as cees/zees, and base trim typically have a red oxide finish (galvanized available upon request with special pricing) and are cut to the length needed to fit your project. 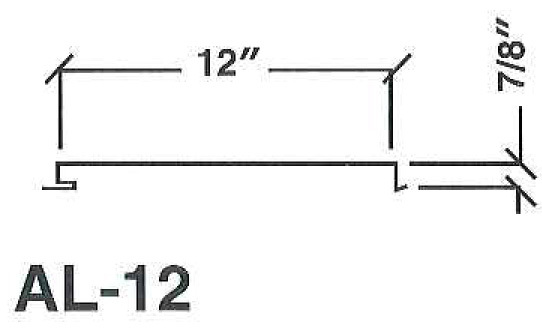 For component only buyers we also have standard lengths of 10' and 20' available made from domestic steel. 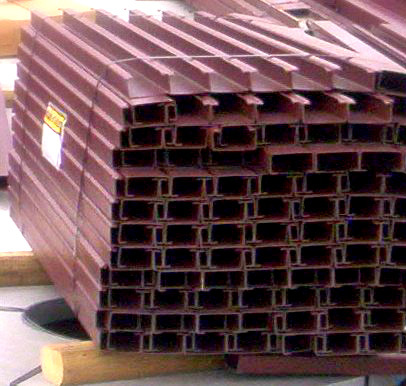 We also stock standard import purlins in 20', 25', and 30' lengths. A-Lert's AL-12 soffit panel is aesthetically pleasing and comes as a vented and/or non-vented product typically used on the underside of overhangs, ceilings and/or walls, and business entries. All trim for the building is specially designed and is available in galvalume and painted finishes. We offer a variety of trim components including outside and inside corners, head, jamb, eave, drip, and base trims, as well as gutter and downspouts, and eave flashing.